You are here: Home / Knowledge / Compliance / Are Larger Buildings Bigger Legionella Risks? Are Larger Buildings a Bigger Legionella Risk? If you own or manage a building that has a water supply or water distribution system present, you must make sure you manage the potential threat from contamination by Legionella bacteria and the chances of it multiplying within that system. In the UK health and safety law is clear on the need for building owners and operators to do this, however, there are a number of useful documents available to help. For example, the Health & Safety Executive publish their Approved Code of Practice ACOP L8 which is essential reading as it has a special legal status and outlines what you need to do. They also publish a number of health and safety guidance documents including HSG 274 (Parts 1, 2 & 3) which give useful advice to help you understand exactly what is required of you, and how to go about it. The nature of the steps you must take to assess and combat the potential threat of legionella contamination and growth in a water system will often depend on the building you manage. This is where size can come into play. In truth, larger buildings are at greater risk of falling prey to rapidly-multiplying numbers of waterborne Legionella bacteria (and other bacteria too). The larger the building, the bigger, and often more complex the water systems will be to cope with the demands placed upon it by the people living or working there. Compare a hospital, for example, to a small self-contained shop with just one or two toilets and a small kitchen. While the operators of both properties must make sure they do all they can to assess the risks posed by legionella bacteria, and to combat them accordingly, the route taken by each is likely to be very different. The bigger the building, the bigger and more complex the hot and cold water systems will be. Larger buildings are also likely to use other water services such as air conditioning, spa pools, water features etc. This in turn, leads to bigger and more complex maintenance routines that should be put in place to manage the increased level of risk from waterborne bacteria. Managing the water systems used by a large, complex hospital might involve treating the water systems more often, or in more than one way. Additionally, cleaning and disinfection will involve many different areas and tasks compared with a small shop where the hot and cold water systems will be far smaller, and significantly less complex. 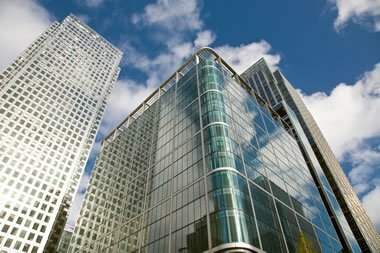 As we can see, the size of a building does really matter when it comes to legionella risk. Assessing the size and complexity of a building will help suggest the right way forward when it comes to understanding the degree of risk, and formulating the best maintenance and treatment programmes. However, if someone owns or manages a small building (perhaps even a rental property, for example), they should not assume they have very little to do to maintain a safe water system. They will only determine exactly what must be done, and when, via a proper legionella risk assessment – and that assessment should be repeated regularly to ensure nothing has changed that could increase the risk and mean the treatment programmes in place are no longer valid. So, while size does matter when considering legionella risk, it should be viewed as a starting point, and just one piece of the risk management puzzle to consider.